I love spontaneous days out. You know the ones, where you end up somewhere completely on the off-chance but have the BEST time. That's what happened on Sunday. We had to pick something up from Norwood and while looking at the map and trying to work out where the hell in the world that is, I spied it's not actually too far from Boxpark in Croydon. I'd come across it before via the lovely Purley Girlie's Instagram feed and we thought as we're unlikely to ever be this far South again, it was worth paying a visit! You might have been to Boxpark before (there's one in Shoreditch too) but if not it's basically like a HUGE shopping centre for street food vendors. There's over 80 shipping containers in there, each converted into a mini-restaurant taken up by everyone from Bukowski Grill and The Potato Project to Fish, Wings and Tings. 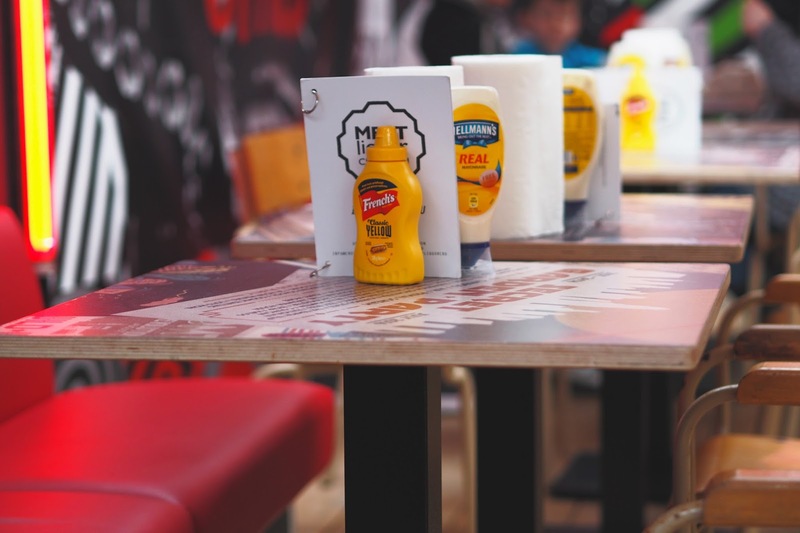 You can get cuisine from every continent under the one roof PLUS they have an event space where you can chill out and watch the rugby on big screens or listen to the DJs and surprise performances from the likes of Stormzy. For our trip, however we went straight for Meat Liquor. Meat Liquor is one of my favourite London restaurants. 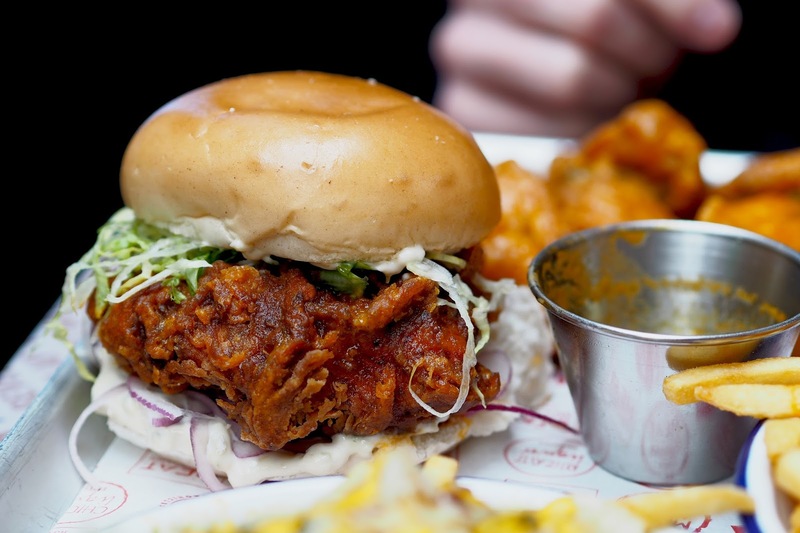 Their buffalo chicken burger is THE best in London (uncontested as far as I'm concerned) but the restaurant is SO ridiculously dark, I've never really been able to write a decent blog post about it. The Boxpark restaurant is a different story. It's got natural light streaming in from all sides so for the sake of the blog, I couldn't pass up the opportunity to share it with you guys. 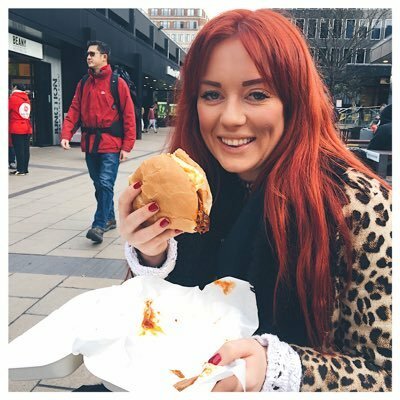 I'm sure most people are familiar with Meat Liquor. They do burgers and they do them bloody well. It's the kind of places hangovers where made for. 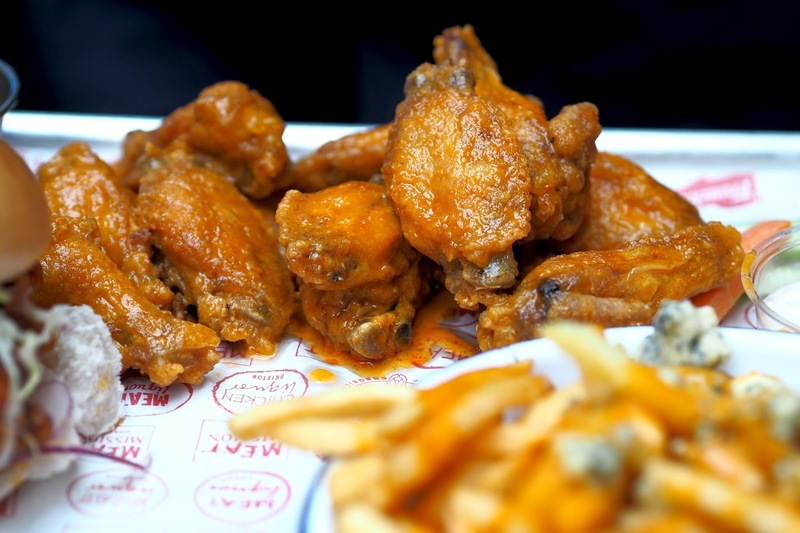 You don't want to go there when you're counting calories BUT for cheat day, Meat Liquor has your back. They even put a whole roll of napkins on each table so you know the food is going to be seriously dirty (in the best way possible). Seeing as I was feeling a little fragile on this particular Sunday, we really went to town on the menu. Starting with the infamous Dead Hippie burger (£8.75). They take two beef patties and fry them off in a little French's mustard before slathering on Dead Hippie sauce, mince onions, lettuce, cheese and pickles. The result? A super messy but really tasty burger. It can get a little sickly and you'll need both hands and a lot of those napkins to eat it but I promise, it tastes bloody good. Next is the the Buffalo Chicken Burger (£8.75). 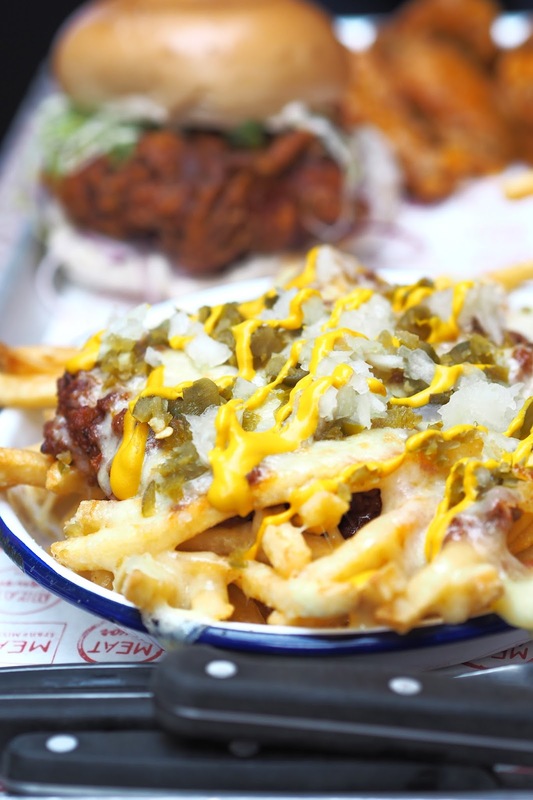 I've never ordered anything else and why would you when you've got a HUGE deep fried chicken fillet covered in Meat Liquor's signature hot pepper sauce and covered in blue cheese sauce? Now the fries are my favourite part. 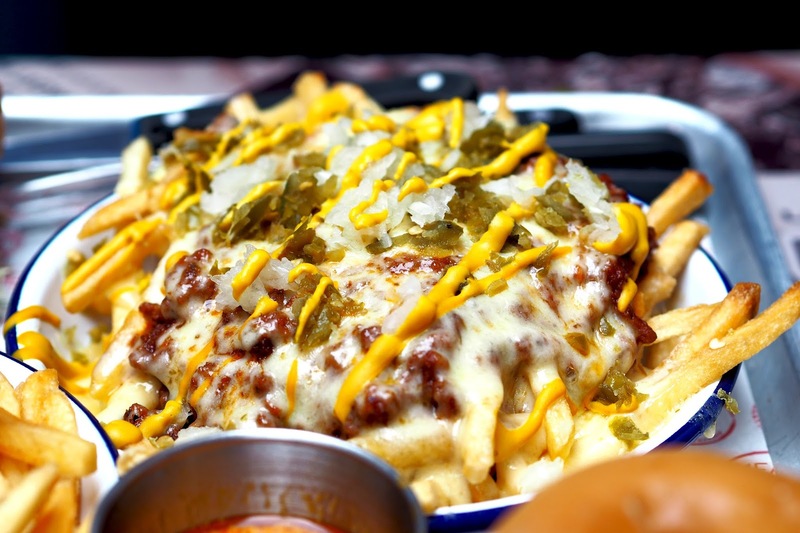 If you're looking for a real blow-out, order the chilli cheese fries (£7). These babies come loaded up with beef chilli, mince onions, melted cheese and chopped jalapeños plus a squeeze of French's mustard for good measure. But if you're greedy like us, you'll also want to order the Buffalo fries (£6). Look, I was hungover and hungry, don't judge me. 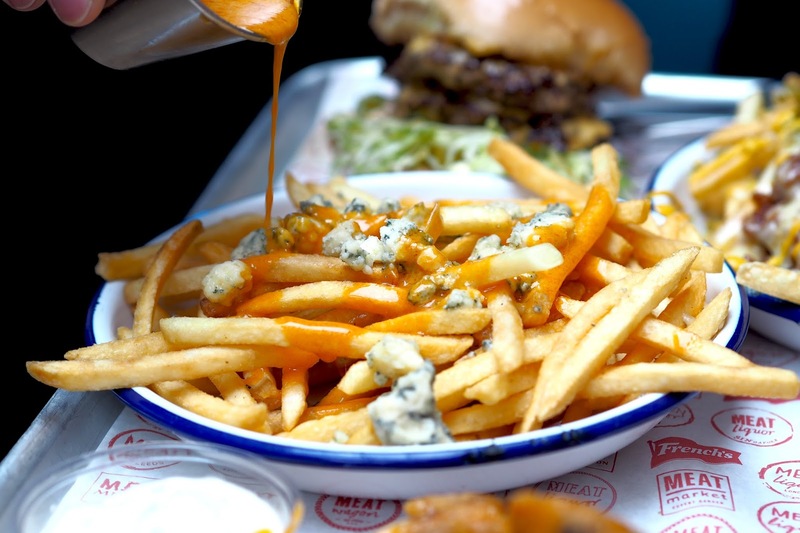 A bit like Bleeker's Angry Fries, these are a huge portion of skinny fries topped with crumbled blue cheese and more of that incredibly addictive buffalo sauce. If I were to chose between the two - I'd say these are probably my favourite...and I imagine they're less likely to give you a coronary heart attack but each to their own. And because I just can't get enough of the stuff, an order of the Buffalo wings (£7.50) is another must-have. You get a pile of about 12 and each one is perfectly cooked with a nice crispy coating and succulent juicy meat inside. Just remember they come as a main dish rather than a starter! An epic looking lunch right? Of course there was no room for pudding, I know I can eat a lot but event that was my limit! 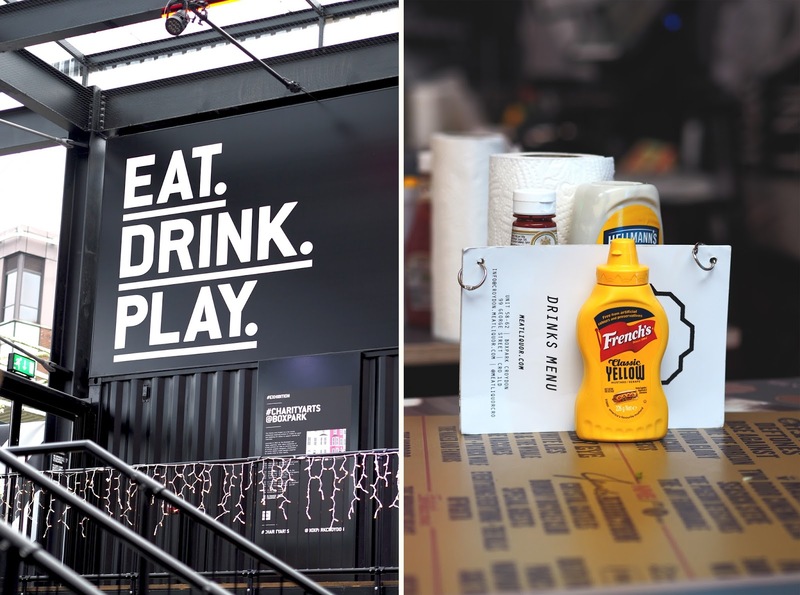 The good news is that there's also Meat Liquor in London so you can get your Buffalo fix without the trip across the river BUT if you do ever find yourself down that way, I highly recommend Boxpark. There are SO many good restaurants to chose from and it makes a brilliant foodie day out! Yay, I'm so pleased that you made it to Croydon and enjoyed the delights of Boxpark and MeatLiquor. I think they are my favourite burgers too. This post has now made me so hungry, I need to plan another trip there asap!! Omg amazing!! I went to Meat Liquor years ago, I definitely need to go back! Oh my thats got my stomach rumbling! It all looks fantastic! Wow these look amazing! So yummy! that has made me SOOOO hungry right now. Only recently came across BoxPark - went to the one at East Croydon for a business meeting. Is that this one or is there another in Croydon I wonder. Ah I love Box Park in Croydon! I think it's so much better than the London one. 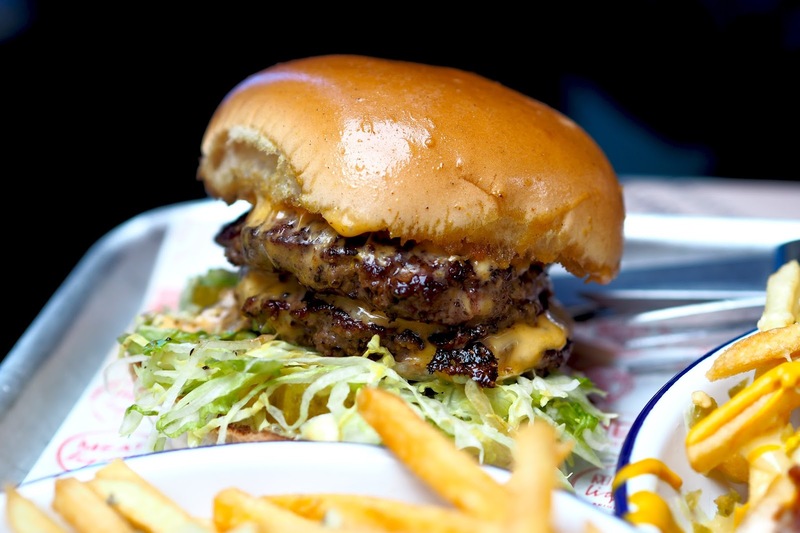 And MeatLIQUOR is one of my fave places to eat too...that burger picture is genuinely making me salivate!